If you often find yourself in a situation where you need to be aware of your surroundings but would also like to be able to listen to music, then a good set of bone conduction headphones may be right for you. Instead of going inside or on top of your years, essentially blocking out most other sounds, bone conduction headphones transmit sound thought the bones in your skull. Without getting too technical, here’s the gist: most headphones use air conduction to transmit sound to your eardrum. The eardrum then converts this sound to vibration, which is transmitted to the cochlea—the inner ear. However, some “sounds” (read: vibrations) are heard directly by the cochlea, bypassing the eardrum altogether. That’s where bone conduction comes in: instead of using air conduction to send sounds to your eardrum, this step is bypassed. The bones in your skull transmit vibrations directly to the inner ear, allowing you to hear the sounds. 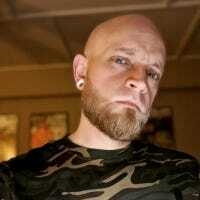 Before you decide to jump into the world of bone conduction headphones, however, there’s one thing worth pointing out: because they’re not blocking outside noise like most air conduction headphones do, sound quality won’t be quite as good. And perhaps more importantly, they won’t be as loud either—especially on the lower end. Still, most should be loud enough for casual listening, especially in situations where traditional headphones won’t work. 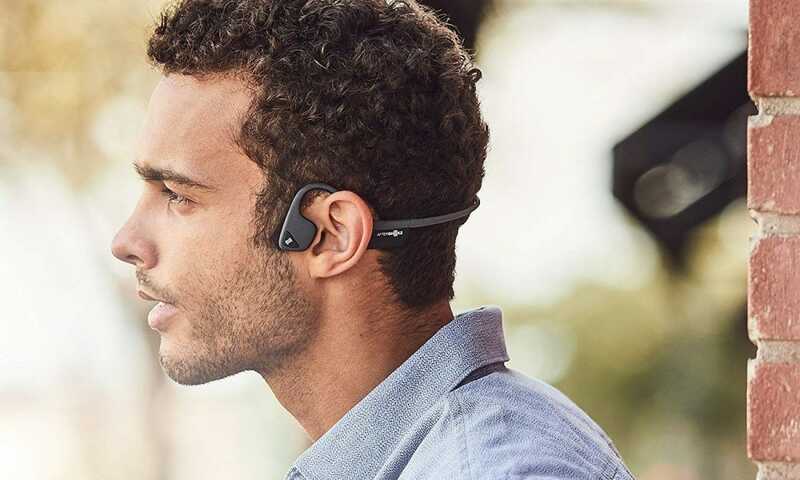 Now, with today’s science lesson out of the way, it’s time to take a look at some of the best bone conduction headphones available on the market today. When it comes to premium bone conduction headphones, one name stands above the rest: AirShokz. This type of headphones has been the company’s primary focus since day one, and it’s the premier brand in this category. If you’re looking for the best AfterShokz has to offer, the Trekz Air is it. This is the lightest headset the company has ever made, making it more comfortable for longer. They used titanium “everywhere possible” to make it lighter and fit more securely. It’s also sweat-proof, making it the prefect choice for athletes who need situational awareness—like runners or cyclists. It connects over Bluetooth 4.2, promises up to six hours of play time and 20 hours of standby, and charges in just two hours. At $150 they’re pricier than a lot of the competition, but if you want a more robust headset that is designed to provide more comfort and better sound, the Trekz Air is your what you’re looking for. 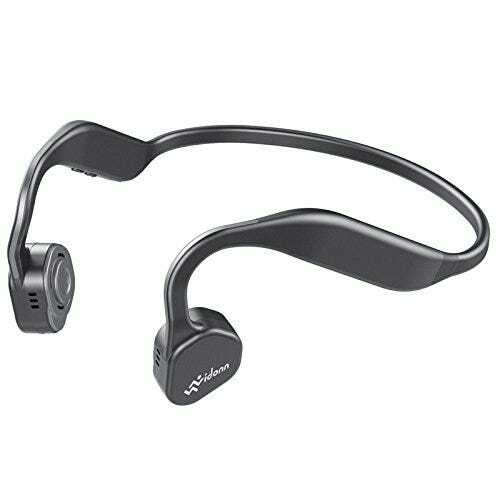 If you’re interested in this bone conduction thing but don’t necessarily want to go all-in on the premium model, the Vidonn F1 Titanium wireless headset may be the way to go. At $70, it’s less than half the price of our premium pick, but still features a titanium build for enhanced comfort, as well as IP55 ingress protection for rain and sweat resistance. It uses Bluetooth 4.1 for wireless connectivity, offers up to six hours of playback time and seven days of standby, and charges up in just two hours. Most of these metrics match that of the Trekz Air, making the F1 Titanium an excellent value. If you’re not about that Bluetooth life, wired bone conduction headsets do exist—though they’re not quite as common. The AfterShokz Sportz Titanium are comparable to the others on this list while still giving you a wire to connect your headset to your phone. These sweat-resistant headphones are the most premium thing you’ll find that doesn’t include Bluetooth, featuring AfterShokz newest bone conduction features. Despite being wired, these headphones still have to be charged—bone conduction is an active feature that requires power, unlike traditional air conduction headphones that can work passively. That said, you’ll get 12 hours of playback time with these since they’re not also powering a Bluetooth module. Standby time comes in at an impressive 60 days, while the charge time is still a measly two hours. All solid numbers if you’re after a simple wired solution. Window candles are a great and classy way of making your home look cosy and festive at this time of year. We’ve looked at the best electric and battery operated window candles out there.